The music of my moody youth won the Nobel Prize in Literature today. I feel vindicated for my then-maligned taste, and relieved that the world sees what I saw, heard and felt... and still see, hear, and feel. I still have it, my original album from all those years ago. The only vinyl I've kept, after selling hundreds of others. The album remains part of me. It sits here on my desk, propped against the wall. "I Dreamed I Saw St Augustine"
And "Sad-Eyed Lady of the Lowlands," 11 minutes, 18 seconds long, and I knew every word, every breath, every pause. My poor mother... 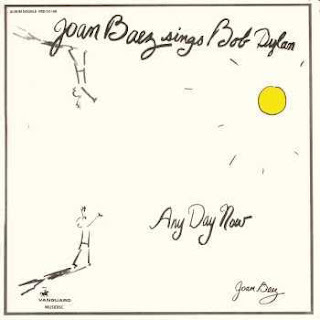 I must have played this cut a thousand times, and never at low volume, as I immersed myself in feelings of Bob Dylan's sacred lyrics and score. "Dylan has the status of an icon. His influence on contemporary music is profound..." wrote the Committee. And, I might add, the subjects of his music... empathy, struggles, unfairness, rebellion, keenly observed experiences of others... are entirely consistent with the body of literature honored by the Swedish Academy since its 1901 founding. 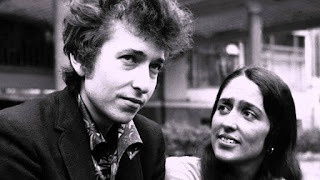 Congratulations to the Nobel Prize Committee for Literature for awarding the 2016 award to Bob Dylan "for having created new poetic expressions within the great American song tradition." Indeed!